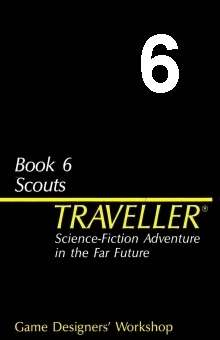 Book 6- Scouts. Scouts addressed in detail the Imperial Interstellar Scout Service: its organization, duties, and operations, plus an expanded star system generation sequence. For Classic Traveller, the term Books has a special meaning: Books present additional rules on specific subjects, expanding on Traveller's basic concepts. Books run 48 to 56 pages and may be used independently or together, but all require the basic rules sets. The first three Books 1-2-3 were part of Basic Traveller; the other books were expansions on specific subjects: the Navy, the Military, the Scouts, the Merchants, and Robots. This title was added to our catalog on March 30, 2010.